It is an opportunity to remember the great wedding day and relive this unique moment. Whether it’s 5, 10 or 15 years of marriage, all birthdays deserve to celebrate and the best is to invite friends and family to relive a single moment of your life. 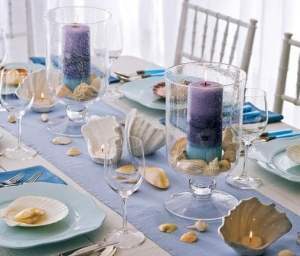 A wedding anniversary celebration is a great opportunity to organize a reception or even a small cocktail party. Here are some tips to properly organize your wedding anniversary, a magical moment that will remain etched in your memories. Evening dress chouchoudress offers advice to follow in this organization. There are Cotton, leather, wood, porcelain or even gold. These are the names that have been attributed to anniversaries. Any appointment, a wedding anniversary still deserves to be celebrating with joy and happiness and the best is with people that really matter. It is the family and close friends. If you already have children, it’s even better because nothing beats share the best moments of his life with his children. A wedding anniversary is also an opportunity to redo his vows and to prove the love between husband and wife. It’s a great opportunity to share his happiness and make the party at the same time in a cheerful and festive atmosphere. To organize an evening a white wedding anniversary party, it must first ensure that all guests will play the feet to the head, so plan to send invitations well come fully. 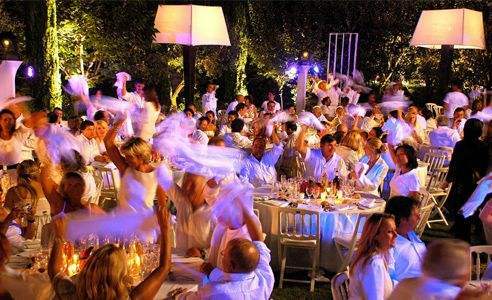 The purpose of a wedding anniversary night while white is to express the purity of love and marriage and also to dazzle the eyes of guests of white, chic and fresh. Although the game will be white in the decoration by e.g. providing large white sheets sprinkled with sequins and feathers instead of curtains; in the case where the feast is organized at home. It is a very important detail because it is a more visible of all. 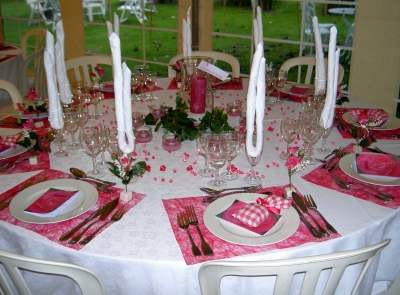 Where the theme is white, the decoration will be white and should be appropriating everything that is white and clear. For example, if the evening is held indoors, cover your sofas and chairs with white tissue. When about your tables, choose nice tablecloths in white fabrics such as lace, for example avoiding paper tablecloths that tear very easily. And chairs, opt for skins of chairs n tulle to tie for a good effect. Balloons, glitter, confetti, feather boas or mirror ball may be used for the decoration of the place. Anything that can be used in white color will do the trick. This is very important and it is not difficult because for drinks, it is quite easy to find cocktails and other drinks of white color. At the example of margarita, mojito, caipirinha, white sangria and other drinks, you have many choices. But the star and ideal for a white evening is undoubtedly the champagne. You can have fun to decline it in all its forms according to your choice. And above all, don’t forget to dip the edges of the lenses in a sugar for a frosty snow effect, always in the white atmosphere of the anniversary. 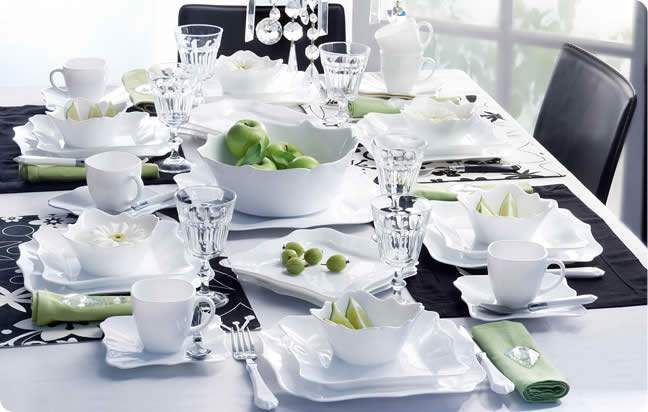 For white food, the choice is very extended, you choose the best dishes.